Yesterday’s post on spiral galaxies raised some questions about the rotation of galaxies. Do galaxies rotate with the spiral trailing the motion, or does the spiral lead the rotation of a galaxy? At first blush, it would seem like the spirals should always trail a galaxy’s rotation. 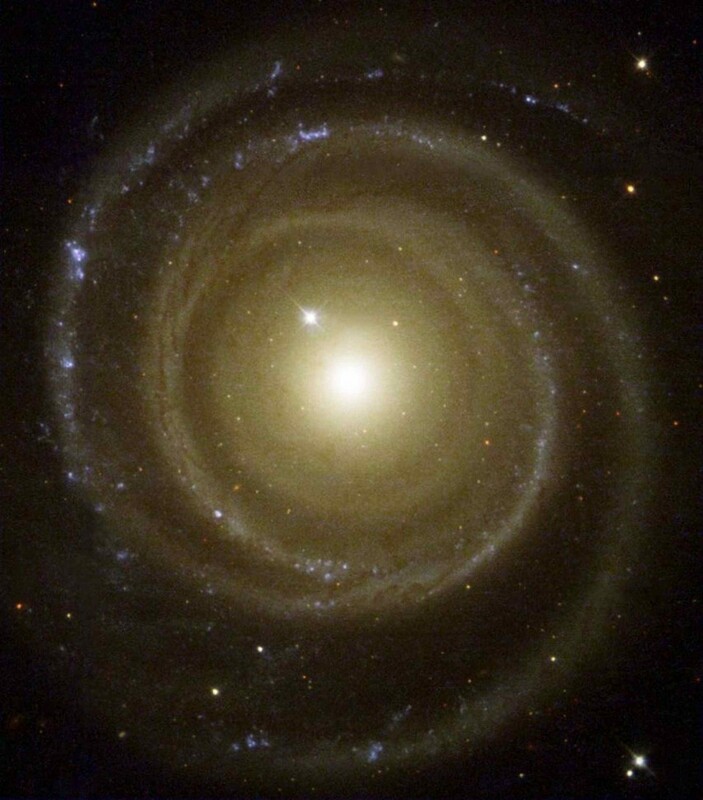 One could imagine that as galaxy’s form they begin to rotate and flatten out due to the inherent rotation (angular momentum) within the progenitor cloud. Over time, the rotation would build up the spirals we see today. For a long time that was a common idea. When Edwin Hubble developed his “tuning fork” classification of galaxies, it seemed like you could connect the timeline from spherical to elliptical to spiral galaxies. But if that were the case, we wouldn’t expect to find any galaxies where the stars rotate in the opposite direction. That is, there shouldn’t be any galaxies that rotate in the spiral-leading direction. But in fact, such galaxies exist, such as NGC 4662 (seen in the image here). So how is that possible? The answer lies in the fact that the spiral shape of galaxies is not strictly due to the rotation of a galaxy as a whole. It’s actually due to an effect known as a density wave. You’ve probably experienced a density wave in the form of a traffic jam. If you’ve ever been in a traffic jam you’ve noticed that while you slowly make your way through it the overall traffic pattern remains the same. Usually when you’re caught in a traffic jam you eventually find the source (construction, minor accident, etc.) but sometimes you enter a traffic jam and go slowly through it without ever seeing a cause. At some time earlier something started it, but now there is just the traffic. The jam itself is now the cause of the jam. So the shape of the spirals isn’t indicative of the orbital motion of stars. It is true that the vast majority of galaxies have their stars moving in a direction with the spirals trailing, but that’s due to the fact that density waves are more likely to form with that orientation. 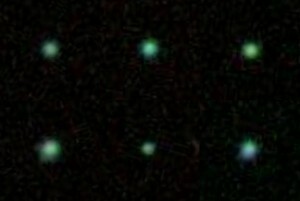 But it doesn’t always occur that way, as NGC 4622 shows. So the next time you see a spiral galaxy, take heart in the fact that even stars get caught in traffic jams. I have wondered for years which way spiral galaxies rotated. And I had never seen an explanation of density waves. Thank you very much for the explanation!